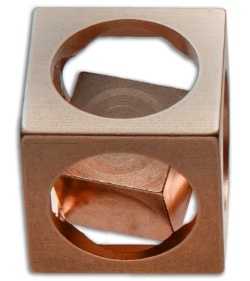 This FlyCube model is made from a single block of copper. The Flytanium FlyCube is a great collectible item for anyone with fidgity hand syndrome. Based on a traditional machinist’s exercise, each Flycube requires precision and patience, resulting in a cube within a cube. 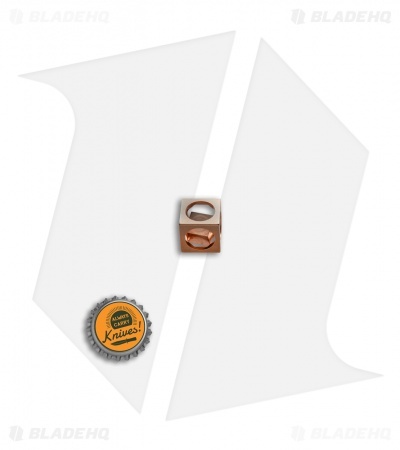 Flycube's come in a variety of materials and finishes, get one for every mood! *Please note: Due to the nature of copper, the FlyCube will develop a beautiful, natural patina with time. These have an antique looking finish and may show some slight imperfections and character!